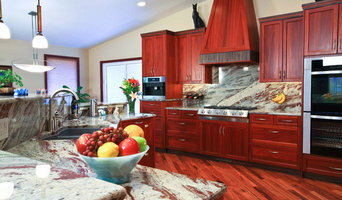 Kitchen & Bath ReStylers is a full service, design / build kitchen & bath remodel company. In business since 1988, our NKBA certified designers place a strong emphasis on design and attention to detail. We specialize in taking projects from concept through to completion. We guide our clients through each step, sweeping away confusion, filtering out the irrelevant, and focusing energy on the right solutions at the right price, for their projects. We place a strong emphasis on value, practicality, maintainability, style, & comfort. Overwhelmed? We can help. Our step by step process is designed to ease you through the decisions, one at a time, in order of importance. Once our designers get dialed it to your tastes, we can very quickly filter out items that don't fit your criteria, so decision making becomes much easier. Inland Bath & Kitchen, Inc. Serving the Tri Cities community for over 19 years, we at IBK have grown to a full service contractor specializing in Design/Build Remodeling, Cabinet and Onyx Collection distribution and installation. We want to focus on your needs and eliminate any fears you may have. We complete projects better and faster. What can we do to help make your life easier? Terence L. Thornhill, Architect, INC. P.S. 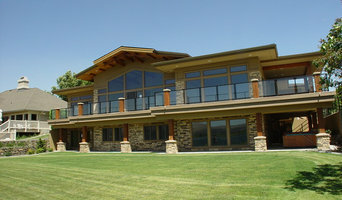 is a registered architectural corporation in the State of Washington, established by Tere and Katie Thornhill in 1994. We pride ourselves as a design oriented firm specializing in excellence of functionality and aesthetics with a definitive focus on project schedule and the budgetary bottom line. The firm is dedicated to the ideal that through sustainable architecture and quality design - buildings will "give back" to the community in an enduring way. Tere studied undergraduate Architecture at The University of Washington - School of Architecture in Seattle, Washington and graduate studies at University College Dublin - College of Architecture - in Dublin Ireland. Prior to establishing the firm of Terence L. Thornhill, Architect, Inc. P.S., Tere practiced architecture in London, England at the City of London Corporation and in Seattle, Washington with TRA Architecture, Engineering, Planning & Interiors and with Mithun Partners Architects and Interiors. It was in Seattle that Tere received awards in both contemporary design and historic preservation/ restoration. The firm was honored to receive the Mid-Columbia Small Business Association "Small Business of the Year" Gold Award in 1999 for employee relations and client service. Terence L. Thornhill, Architect enjoys a wide range of experience in both public and private projects including design and master planning of commercial offices, retail facilities, medical laboratories, physician offices, schools, churches, municipal facilities, hospitality facilities, residential remodels, custom and speculative residences, multi-family residences, and much more. MV Construction has an amazing team, we work hard for the homeowner in doing the best job possible and not leaving a job until homeowner is 100% satisfied. We are a honest, reliable construction company who takes pride in the quality of work that we do and have an amazing track record to prove it. We provide competitive, quality construction to homeowners and put in the time and effort to build relationships to better understand homeowners visions and ideas. We are in the business of enhancing outdoor living by providing exterior patio shades, solar shades, retractable patio and window awnings, retractable sun and privacy shade & shelters. NW Shade Co is a family owned company. We have been confidently providing & installing our shade products in the northwest since 2002. Born and raised in the area, we know and understand the weather, climate and the communities in and around Eastern Washington and NE Oregon. Our mission is to provide quality customer service, superior & stylish products that will handle the wind and other elements along with adding value to homes and businesses. Hunter Douglas Dealer All Window Artisan is a privately owned window treatment provider. 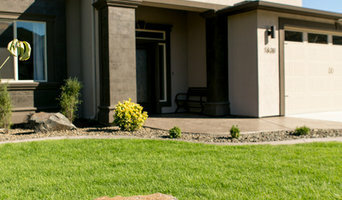 We are located in Richland, Washington and have served southeastern Washington since 2001. As a licensed and bonded construction contractor for both commercial and residential, we only offer brands and products that we can stand behind. Unlike the “Box stores”, we take the time to design your window treatments. We sell and install custom window coverings made to the specifications of each window. Whether simple or elegant, functional or stylish, we will help you find the right treatment for your home or office. 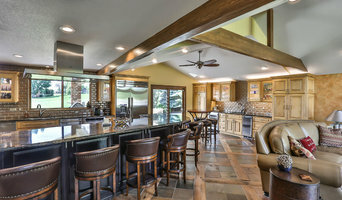 Browning Homes is a full service home designer and builder. We focus on cutting-edge home building technologies coupled with architecturally and artistically sound custom home designs for high-end luxury home owners as well as first-timers. Since 2002, Douglas Browning, president of Browning Homes Inc., has been designing and building some of the finest homes in Tri-Cities. His artistic talent, his unmatched building skills, and his profound desire to create enduring landmarks, have qualified Browning Homes as the contractor of choice for numerous custom homes in Eastern Washington. Doug’s home-building philosophy is simple—if you can’t do it right, don’t do it at all. If luxury, practicality, and peace of mind are important to homeowners, Doug invites them to make a Browning Home their own. We're a General/Electrical Contractor providing services to those looking for new and creative ideas in remodels and new home construction. If you're looking for impeccable design and budget-conscious value you have found the right place! Sageland Design incorporates years of builder experience along with a fresh design perspective to bring you designs that are not only innovative, but also cost-effective to build! Take a look around the site and then contact us to see what we have to offer. Remodeling, Custom Home, Design Services. AJ Development is a family owned and operated company with over thirty years experience. Our mission at AJ Development, LLC is to provide our clients with the highest quality construction services, delivered in a professionally managed environment. We strive to deliver quality craftsmanship while treating our customers with courtesy and respect. Our pledge is to build lasting relationships with our customers by exceeding their expectations through exceptional performance by every member of the construction team. We strive to serve our customers with purpose and character that brings honor to God. 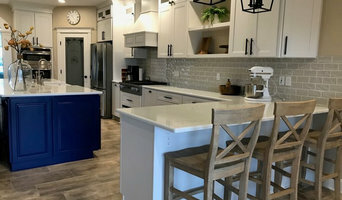 DB Indy (DB Independent, LLC) is a seasoned Kitchen & Bath Design Company with 20+ years of experience in design and project management support. DB Indy facilitates the design and sale of cabinetry, countertops, tile, hardware, fixtures, and flooring in any type of project. From the smallest budget bathroom remodel to the largest commercial mixed-use project – WE HAVE DONE IT ALL. A “Micro Showroom” concept is utilized to keep overhead and product over-stimulation to a minimum. As needed, we access our manufacturer showrooms where we have great, long-standing relationships. We believe the design process should be streamlined and as fun as possible for the best outcomes and future referrals. Most meetings occur on-site or at coffee shops, etc. We will always provide a free initial consultation and follow up preliminary design review with revisions. At any juncture where fees become necessary for requested time commitments by clients, we will always be clear, fair, and honest. The goal will always be a clear understanding of the design, materials, budget, and process, so we want you involved because team drives success. Building quality homes in the Tri-City Washington area offering exquisite craftsmanship and creative design. Ken Holle is the Building Contractor for Urban Street Homes. He grew up in Kennewick, Washington graduating from Kennewick High School. His wife, Dana, grew up in Richland, Washington and graduated from Hanford High School. The two Tri-City natives team up to design to build creative and innovative homes. They are passionate about quality and cutting edge design. This has created a business that is adept at assisting their customers to achieve the home they are dreaming of. We are proud to be a high quality custom home builder and we are sure we can help you create a home you love. Take a look at some of the homes we have built and give us a call for a consultation! "We want to make your dream home, a reality!" Apex Painting is a family owned and operated business, established in 2011. Apex has three co-owners and a team of professionals to accentuate the Apex experience. Ron, Ivy, and Andrew Wright are the three co-owners and founders of Apex painting LLC, also known as specialty contractors. Every year this business gives back to the community providing support and assistance to the community. Some of the services given back to the community include donations and free services given to the tri-cities AC junior achievers program, Habitat for humanity , and the community building known as the Arc located in Richland. Apex likes to keep a strong bond with the community, and continuously supports the community and attends many annual community events. Apex also like to give their military appreciation by offering discounts to our country's veterans, our elderly persons, and many other specials offered to the community. Apex Painting LLC Is a fully licensed, bonded and insured business. Apex and all employees abide by all Washington state standards for safety and state regulations as well as federal regulations. Taking all precautions as needed. Apex is a highly qualified business, will get the job done right the first time. Apex offers references upon request, from many customers that over the years are highly satisfied in the workmanship of Apex Painting LLC. Let Apex help turn your dream home, into your reality. Here at Apex Painting we strive for excellence in our workmanship and perfection in every aspect. We want to make your dream home, a reality. We pride ourselves with attentive customer service from our first meet and greet at your FREE estimate to the walkthrough of job completion, even many years to follow for touch up and repair to unsure a lifelong Dream Come True. Unlike other painting companies we have a higher level of dedication to each job performed, We offer a one year warranty on every job completed. We have a wide variety of services and discounts available. Visit our About Us Section located at the menu at the top of the page. Don't wait to make a reservation for your FREE consultation today!! But before you start sending out dozens of emails and making phone calls, sit down and think about your project. What's your budget? What is the scope of your project? Will you need more than one type of professional to complete your home improvement project in Richland, WA? Can you afford to complete the full project now, or should you tackle it bit by bit? Once you've settled on your project’s priorities, budget and scope, it's time to start researching Richland, WA home design professionals. Don't sell yourself short and settle on the first professional you set your sights on. Make sure that you're working with someone local, who can get to the jobsite easily and efficiently. Look into the person’s reviews, ask to speak with former clients and to see previous jobs in person. Take a good look at their portfolio photos: How similar are these projects to your own? Be honest — that mansion might look beautiful, but it might not have a lot in common with your little bungalow. Reach out to multiple professionals — especially for larger projects — and don't settle for the first bid you hear. Comparing multiple Richland, WA professionals' bids and experiences can help you find the one that’s best for you. Ask a lot of questions now, so you won't have unexpected answers later. Find a home design professional on Houzz. Narrow down your search by type of professional and location. Browse Richland, WA portfolio photos, read client reviews and contact each Richland, WA professional for more information. Check out the information in the specialized professional sections too for tips on how to hire the right professional for your project.